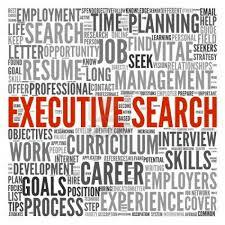 Executive search consultants have interesting but challenging jobs. At times, finding the right candidate for a company can be a bit like looking for a needle in a haystack. A fairly big gap can exist between the company needs and the Candidates wants and the consultant’s job of helping the two sides meet in the middle can be daunting. A way to make the process much easier is to find highly qualified candidates with a vision and work style that matches the hiring company. In the past, that meant job fairs, newspaper ads, and a great deal of faxing in an effort to find qualified applicants. But with the advent of email, the internet, twitter, LinkedIn, Facebook and text messaging, finding candidates is becoming easier, allowing executive search consultants to find better qualified applicants faster. Rather than attend job fairs all over the country hoping to find top notch applicants and then being done with a search, a recruiter can launch a well designed website that allows people to add their resume online. With a 24 hour 7 day a week presence on the internet, a number of possible employees have access to the recruiter that might never have made it to a job fair. Another technology that has made a world of difference for recruiters is email. No longer limited by fax machines, Email is also a great tool for tracking information, allowing the recruiter to know what details were sent and when. Negotiations are well documented and an email conversation can happen quickly and easily, allowing decisions to be discussed thoroughly even within the time pressure of a job search. Texting is another useful tool for consultants. Being able to sit in an office meeting and at the same time send a short bit of information to a candidate regarding a change of an interview location makes all the difference. Twitter and LinkedIn is also finding its way into the awareness of executive search consultants as it allows them to distribute information to all their clients and candidates with a minimum of effort. Technology has speed up the recruitment process but it’s also improved the results. It’s easier than ever to find the right candidate for a job and make the hiring company as well as the new employee thrilled with the perfect match. This entry was posted in Human Resources and tagged Executive search consultants, Executive search firms, Executive search online.